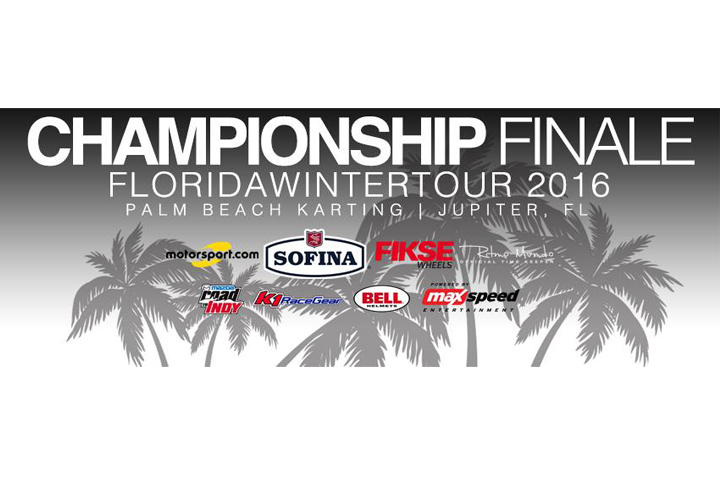 The last round of the 2016 Sofina Foods Florida Winter Tour Presented by Fikse Wheels ROK Cup USA Finale is about to start at Palm Beach Karting. WHAT: MAXSpeed Entertainment, the largest karting race promotion company in the world brings national level, professional kart racing to the Southern Florida area with the 2016 Sofina Foods Florida Winter Tour Presented by Fikse Wheels. Attracting kart drivers from around the world, this weekend is the final stop of the ROK Cup USA program and will feature seven ROK Cup USA classes in an action-packed and fun-filled event at the Palm Beach Karting circuit in Jupiter, Florida. Friday, March 11: Timed Qualifying and Heat 1. Saturday, March 12: Heat 2, Heat 3 and Prefinals. WHO: A geographically diverse roster of 150+ drivers. The youngest class, Micro ROK, features drivers ages 7+, while the eldest classes, Masters ROK and Shifter ROK Masters, features drivers ages 32+. The event also attracts karting enthusiasts, fans, and families, with free spectator admission. BACKGROUND: The Florida Winter Tour is one of the world's largest, longest running, and most geographically diverse kart racing programs. Acquired by MAXSpeed Entertainment in 2014, the 2016 Sofina Foods Florida Winter Tour Presented by Fikse Wheels features back-to-back race weekends during January, February and March at premier Florida karting tracks.